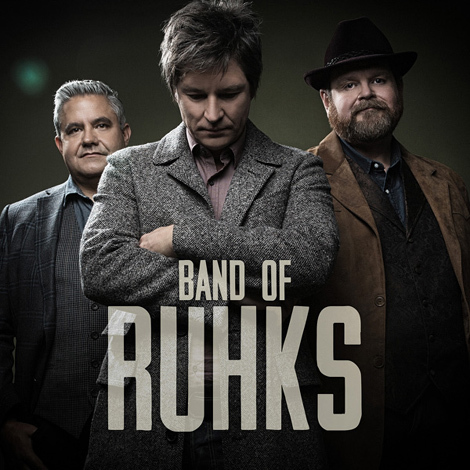 This is the debut album by The Band Of Ruhks, which features Ronnie Bowman, Don Rigsby and Kenny Smith, all of whom had previously played with Sammy Shelor in the Lonesome River Band. Ralph sings a bit on the opening to one song, Coal Mining Man, and can be seen in the video for the finished track. The band have also made available a 'rough cut' on youtube, where Ralph's vocals are higher in pitch - I presume 'auto tuned' rather than an alternate take? As this is dated 2013, it seems likely that Ralph's part may have been recorded as part of the Doctor's Orders session? I don't have a copy of this CD... I'm not really a fan of the Lonesome River Band or Ronnie Bowman, so it seems a bit daft buying something I know I wouldn't enjoy.